The candidates are building companies: Acciona, OHL, Sando, Guamar, EOC, Ceinsa Contratas e Ingeniería, Sardesa, Construcciones San José and Ucop-Helopav. It will be necessary to hire helicopters to move materials and workers specialized in climbing to build the new boardwalk attached to the gorge. 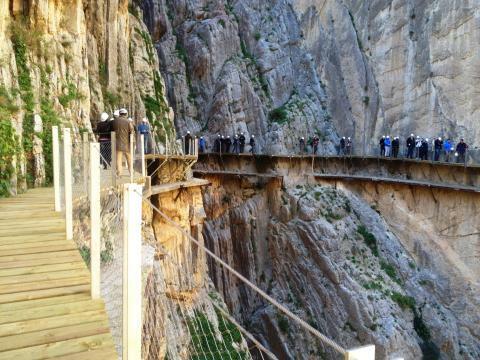 Nine companies tender for a contract for reconstruction of the path El Caminito del Rey, a project of great tourist and environmental importance for the province of Málaga. 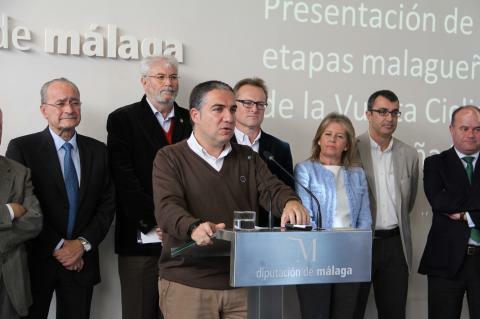 The County Council will allocate 3.12 m euros budget to its opening at the beginning of 2015. 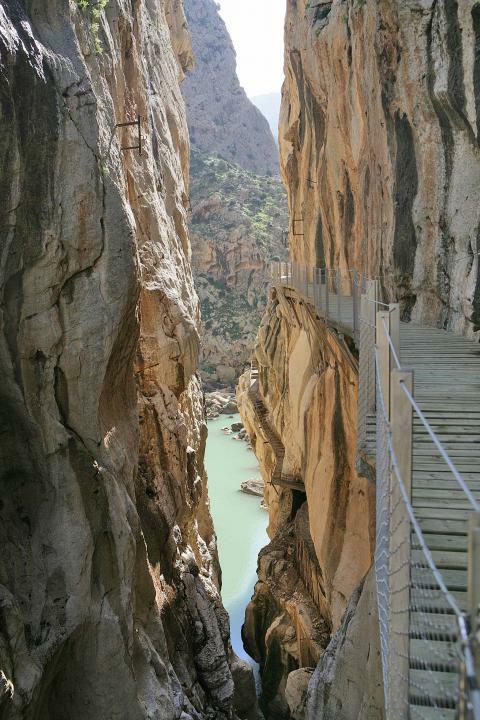 Acciona, OHL, Sando, Guamar, EOC, Ceinsa Contratas e Ingenierîa, Sardesa, Construcciones San Josê and Ucop-Helopav compete for the works that should make functional the boardwalk over the gorge Desfiladero de los Gaitanes in El Chorro. Currently, the access to this spot is forbidden due to the damage on the structure attached to the rock, which was built a hundred years ago. Yesterday, the second part of the tender process that consists of offers presentation was closed. Next week, envelopes ‘A’ with the proposals are going to be officially opened, and administrative and legal documentation, as well as companies classification is going to be analyzed. Further on, at another meeting, the companies that fulfilled the conditions will be selected and subjective criteria (‘B’ envelopes) will be assessed. Having written the technical reports, envelops ‘C’ with the information that companies prepared about economic proposals, objective criteria, planned improvements and redundancies are going to be analyzed. Once the administration process is finished in February, the name of the company that is awarded the contract will be revealed. Chosen company is to give 5 % of the awarded quantity as guarantee and will have to make a Security and Health Plan for the Construction. 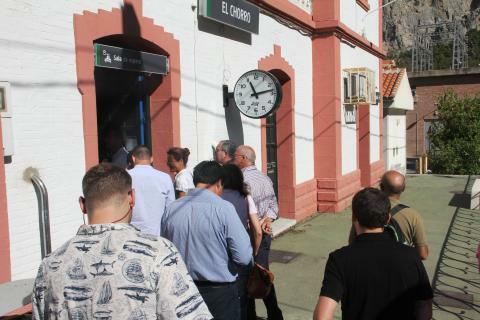 The Málaga County Council takes on responsibility for financing the project, put out to tender for 3.12 m euros. For that purpose, the Council allocated 2.3 m to this project budget for this year, and the rest of it will be invested in 2015, when the opening is planned. Deadline for the project is ten months from its beginning and includes the creation of biological station in certain zones to help vultures nesting. This construction requires helicopters to move materials and workers specialized in climbing to build the new boardwalk. For that purpose, they are going to use wooden boards with metallic moorings and drill holes in the rock. Moreover, some of the sections are going to be made of glass so that the gorge could be seen. Subcontracting is forbidden due to the difficulty and hazards of this kind of operations. 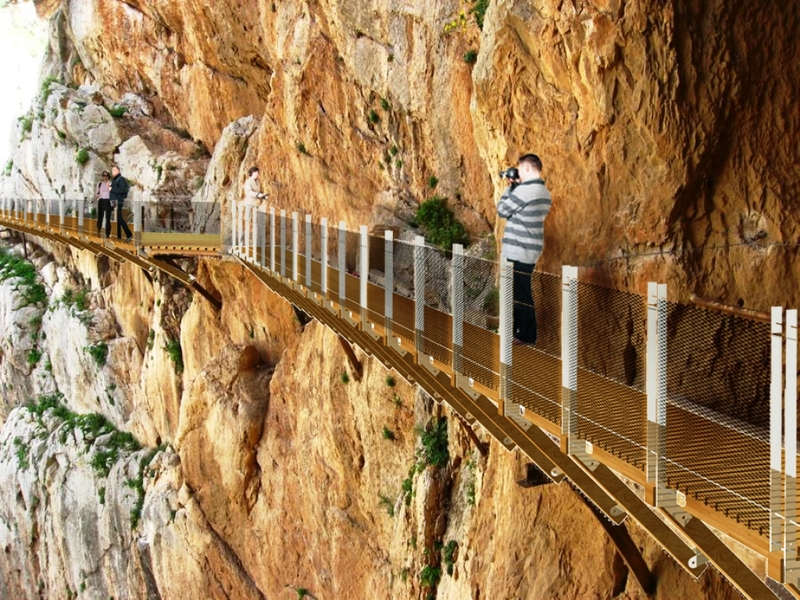 The works on the project include rebuilding of the whole path El Caminito del Rey, which is four km long, and, above all, a new 1.2 km long boardwalk. Therefore, it was necessary to establish cooperation between Ardales, Álora and Antequera, which have issued town planning reports about compatibility of the project; and the Andalusian Government, which is responsible for environmental issues. Moreover, the project includes control cabins that are going to be built as the entrance and exit points at both ends of the path. They are going to be placed in the municipalities of Ardales and Álora, and will improve the security of the infrastructure thanks to the access control. 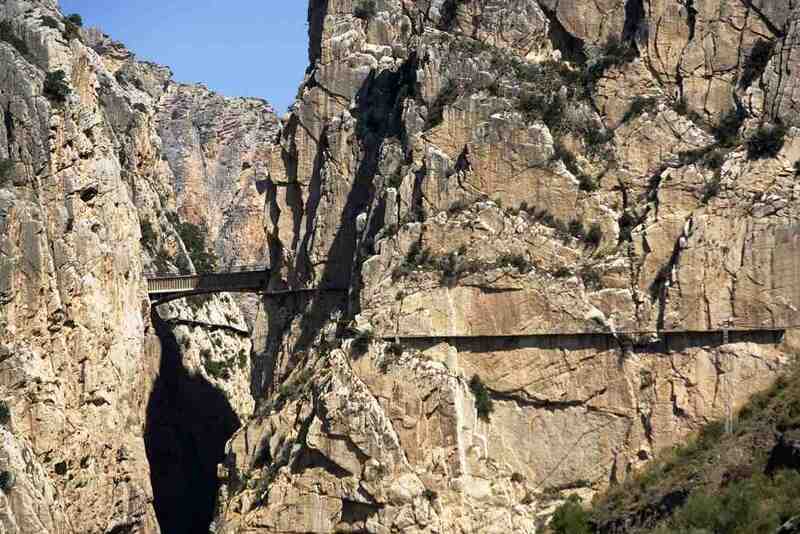 The path El Caminito del Rey is hanging in the air and it is built on the walls of the gorge – Desfiladero de los Gaitanes at an average altitude of hundred metres above the river. The path was built because the Hydroelectric Company El Chorro needed an access way between the two precipices in order to make it easier for the maintenance workers to approach the zone, and to transport materials. 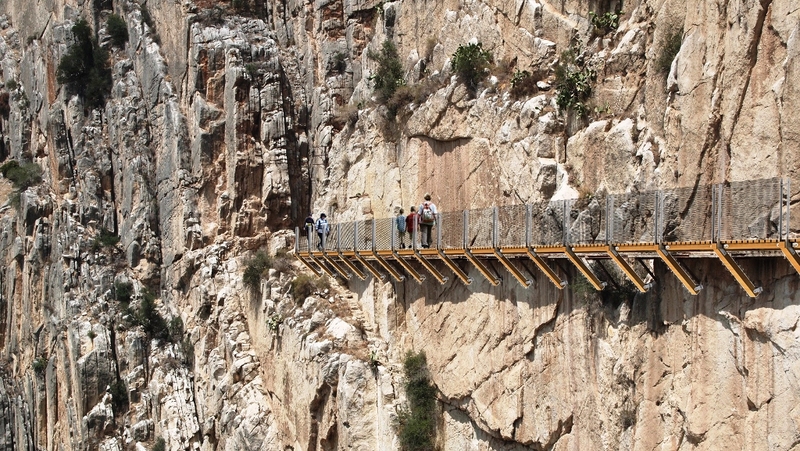 Construction on the first Caminito del Rey started in 1901 and it was complete in 1905. The path was called after King Alfonso XIII who went along it in 1921 to officially open the Count of Guadalhorce’s Reservoir. As the time went by, this unique beauty spot got damaged and became out of use. 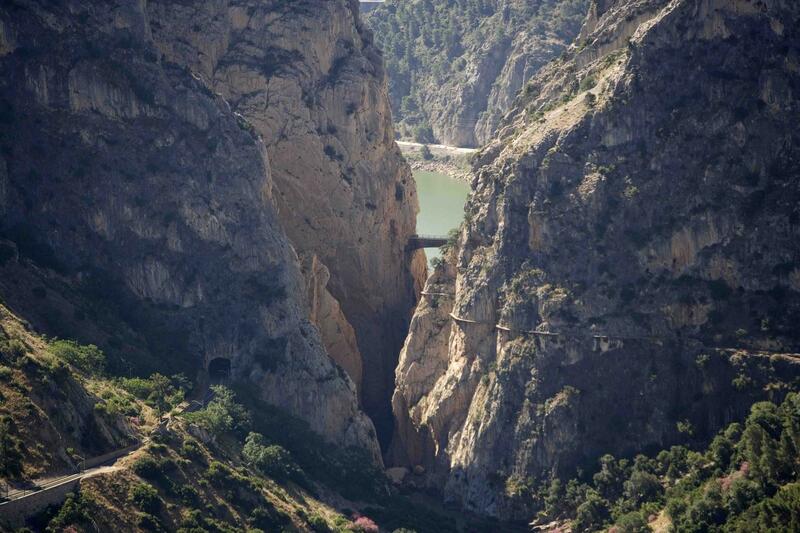 El Caminito del Rey is one of the most important projects of the current term of office of the County Council because it will save one of the most significant tourist and environmental landmarks in the Guadalhorce Valley and the province in general. This beauty spot is of a great historic importance, and it is believed to be one of the most incredible places in the world. 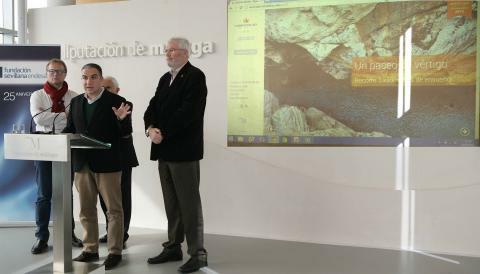 Route round Spain in 2015 is to have four stages in the Province of Málaga. Shuttle bus service that connects two entrance points are to be provided for visitors' transport on El Caminito del Rey Path.